Mt Manaia is rater among the top 14 short walks in New Zealand. Once done, it is easy to understand why our Department of Conservation ranks this walk so high. Mount Manaia is one of a cluster of jagged, bush-covered hills that adds to Whangarei being one of the most dramatic harbour entrances in New Zealand. The track starts at the Manaia Club car park and leads you through regenerating native bush to the summit of Mount Manaia. You will climb 403 meters above sea level. Your walk starts with a steady climb, and as the gradient quickly gets steeper, the views get increasingly spectacular. 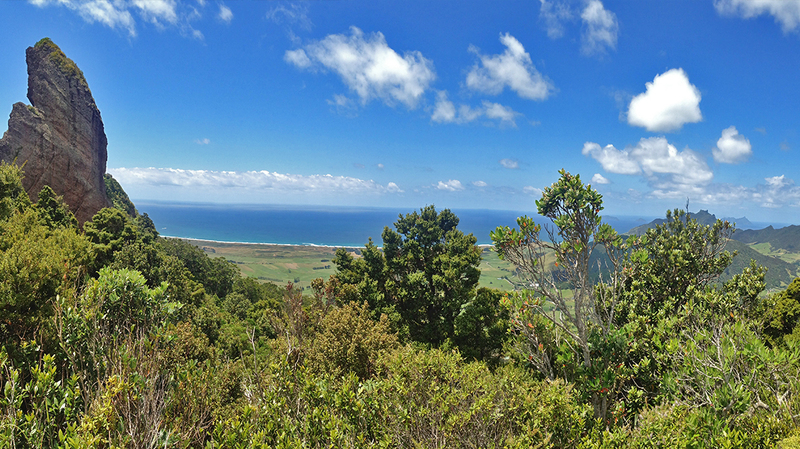 The Bluff lookout has absolutely fantastic views of the Whangarei Harbour, Bream Head and the Hen and Chicken Islands. A climb right to the very top is a great sense of achievement! You must return the same way and expect the hike to take around 1.5 hours. Mount Manaia is a sacred place for Ngātiwai and the many hapū (sub-tribes) of the Whangarei area – please respect the area and keep to the marked tracks. Fantastic viewpoints plus picnic tables at start/finish.